Our guide was truly exceptional, and worked very hard to meet all of our needs. Our guide went well beyond the call of normal duty. His knowledge of the Inca Trail and other historic sites was very impressive. Our chef on the Inca Trail was very good. The quality/quantity of the food was well above our expectations. Overall, an amazing trip and we will recommend using Peru Experience to our friends and families! Thank you! We were initially booked for an Intrepid tour of Machu Pichu, Sacred Valley and Lake Titicaca. Just before we left Australia this was cancelled so we didn’t get to look for alternatives until we arrived in Peru. This was our first meeting with Morton. We emailed him after viewing his website and he was extremely prompt and helpful in getting a new itinerary planned for us which was tailored to our travel wishes. We have to say this was to our advantage and we thoroughly enjoyed what Morton put together for us. From memory our trip was 9 days in the valley and included lake Titicaca and we feel we left having explored the region well. We started and finished in Cusco and really enjoyed our time in this beautiful, vibrant and very cold city. Guides and drivers were friendly and knowledgeable and truly went out of their way to assist us and explain the local history and sites. As locals they really enjoyed showing off their country. Hotels were exceptional, good value and the food was lovely. One instance that particularly impressed was when one of our flights (to Lake Titicaca) was cancelled while we were actually waiting to board…a common thing in South America at times we were later told. We phoned Morton to let him know as he had also planned onward bookings for our time at the lake. He had a guide and another driver back to the even before LAN Peru had re booked us for the following day!! He also rebooked the segments that were affected by the delay and this was evidently done with some degree of skill and negotiation as we were driven from Juliaca Airport to our destination well over an hour away in a 52 seat bus with just us and a driver. Obviously this arrangement was organised just for us. Wendy met up with Morton for Coffee while we were having an extended stay in Lima and was impressed by his professionalism and interest in assisting us with other plans during our journey, even the knowledge that Morton took the time to meet up with one of us personally was something that we appreciated. On return to Cairns we have certainly recommended Morton to our friends planning a trip to South America. He made our travel experience to Peru an exceptional one and as a result we loved our time there and was a highlight of our 9 week tour of South America which included Peru, Chile, Argentina and Ecuador – which included The Galapagos, Patagonia, Iguassu Falls, Buenos Aires and Santiago. OMG! The Inca trail was fantastic! It was hard but totally worth it. Jose was great and took good care of us! We were really impressed ny the detail gone onto planning our trip and were very grateful for it, having never visited Peru before. We were so well looked after and the organization was great which was a HUGE deal considering we were travelling with three kids aged 5 and under. The rucksack to carry our baby in that was provided for our Machu Picchu trip was an absolute blessing and the car seat in the car for him was great too. Our guide Arturo was one of the best guides we have ever met and we feel honoured to have had him lead us around Machu Picchu and Pisac. He was so well informed and kept us captivated with all that he had to share. Again, our kids loved him to bits and were eager for him to teach them Spanish. It was such an enjoyable trip and we will be speaking about it for many years to come! Once again, thank you so much for an amazing Peru Experience! Richard & Lise Van Wyk, Botswana! Just wanted to thank you for organizing our Peru trip. It was very well planned and will very much recommend your service to family and friends. “My daughter and I took a truly unique train ride to Huancayo, spent a day seeing the gorgeous countryside, and then returned via train to Lima. 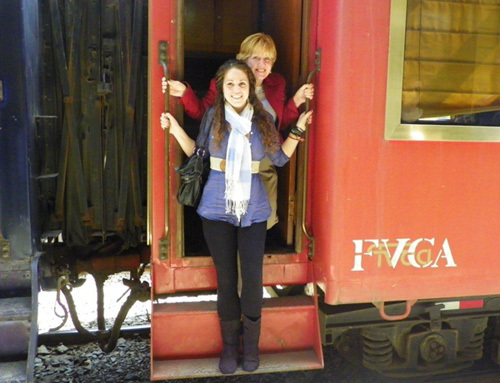 Seeing the Andes Mountains from the open car of the train will be a memory we will always carry with us. We stopped at various stations along the way including the highest train station in the world, Galera, which is at a breathtaking 15,681 ft.
Our lodging place, Tuki LLajta Lodge, was set on a high place about 30 minutes outside of the city of Huancayo. The morning was spent enjoying a peaceful breakfast in a dining room with a panaoramic window view of the valley. Accommodations were spacious and comfortable and Lucy, at the Tuki Lodge, was a wonderful hostess and she and her staff took great care of us. The rest of the day was filled with a tour around the valley to see the traditional weaving, silver jewelry making, tasting of the best cappuccino ice cream (Home grown brand/Bonanza), a ride in a row boat on a lake, lunch at El Encanta, touring El Convento de Santa Rosa de Ocopa, and finally returning to the Lodge for a little relaxation in front of the chimnea before turning in for the night. Early the next morning, we returned to the train station to start the journey back to Lima. 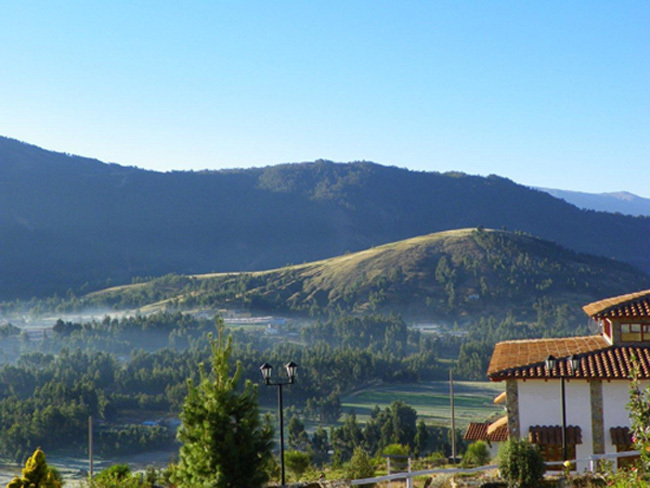 As it was night when we arrived in Huancayo, on the way back we were able to revel in all of God’s beautiful creation surrounding Huancayo in the early morning light and took great delight in waving to the people who came out to greet the train along the tracks. My girlfriend and I heard about this company from a mutual friend and we are not able to single out one thing from the tour. The nature and trek were great, the people was great, great cook and great staff. And the guide Erick was great too. Easy going and on the other hand in complete control. Magnus Skaalsveen & Marte Refvik , Norway. We have had a good and regular contact and dialogue with Peru Experience. It was great to get local knowledgabel eyes to go through our tour program to spot discrepancies. We received a tailor-made program, which was super. All appointments were kept, and this was SUPER important to us. I think it was a phenomenal trip. 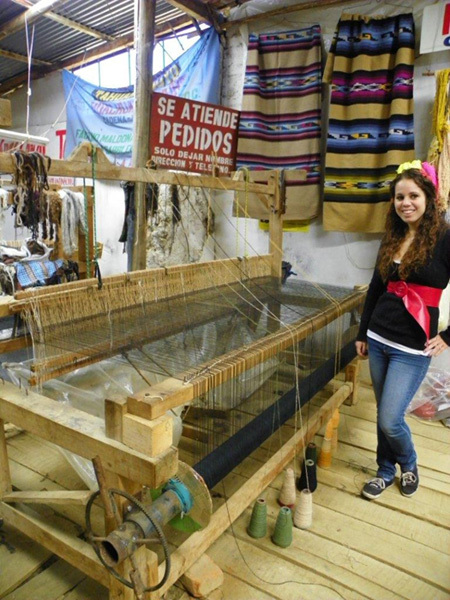 The logistics and all agreements were in place, so there is nothing to criticize about Peru Experience’s work. If you continue this good work, I have no problems recommending you to others. Eric and Abel are natural five. Eric Farfan was nice, all the time watching our needs and always kind to explain everything to us. I’m pretty satisfied with the organization and planning, the food was Delicious!!! It Was a surprise to find those “gourmet” meals but I think it is people’s attitude what made the difference and this group was perfect. It was great experience. Thank you all!! “Our stay in Cusco was also top class, both for the content of the exciting places, which we visited, but also due to the tender and kindness, which our guide Erick and the driver showed us. Overall I have been very very satisfied with Peru Experience, both before coming but also during our trip. The support we got during our stay in Peru, is something that I have never experienced with any travel agency. It was a very positive experience. The help we got, when we came back to Lima and needed to change our tour was also absolutely fantastic. We had a fantastic trip to Peru, and we have so many good experiences and memories from the country, together with a lot of fantastic images, that I have stored in my memory, not being possible to be reproduce these as photos. This means that we will never ever forget Peru. “My experience at Posada Refugio was amazing. The jungle was so beautiful and the lodge seemed to fit right in. It had as little walls as possible, only for privacy reasons on the rooms, so you could see the jungle everywhere you looked. There were often lizards, birds and jungle animals hanging around next to the lodge. The common space was very relaxing. It was a great place to meet and chat with fellow junglers in the evenings. There were tables and chairs to hang out at near the bar and couches and hammocks to lounge in. The bar even offered free popcorn which was awesome!